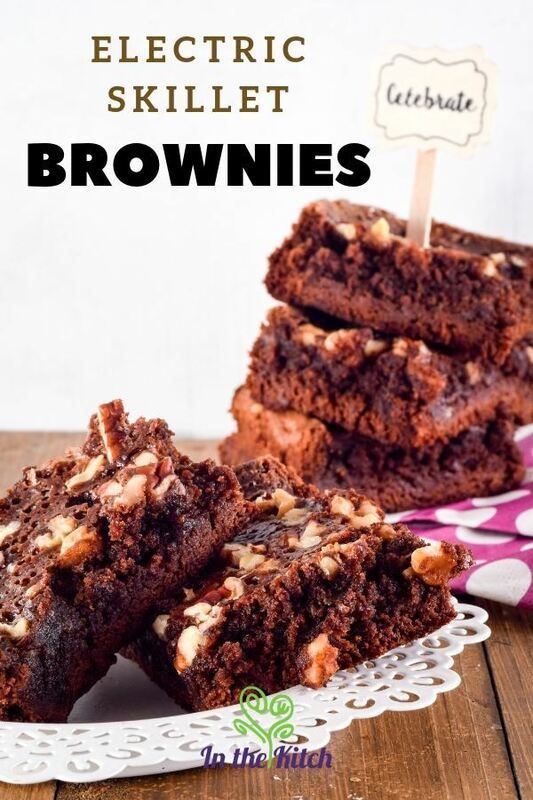 Brownies are a classic dessert loved by many people, but what if you don't have an oven to bake them in? No problem! This recipe is unique because the delicious treats are baked in an electric skillet, not an oven. It's simple: just preheat your electric skillet, pour the batter into a regular baking mold, place the pan into the skillet, and put the lid on top. In less than an hour you'll have delicious, perfectly baked electric skillet brownies, no oven required. They're rich, gooey, and chocolatey, and the addition of walnuts give them an extra crunch. 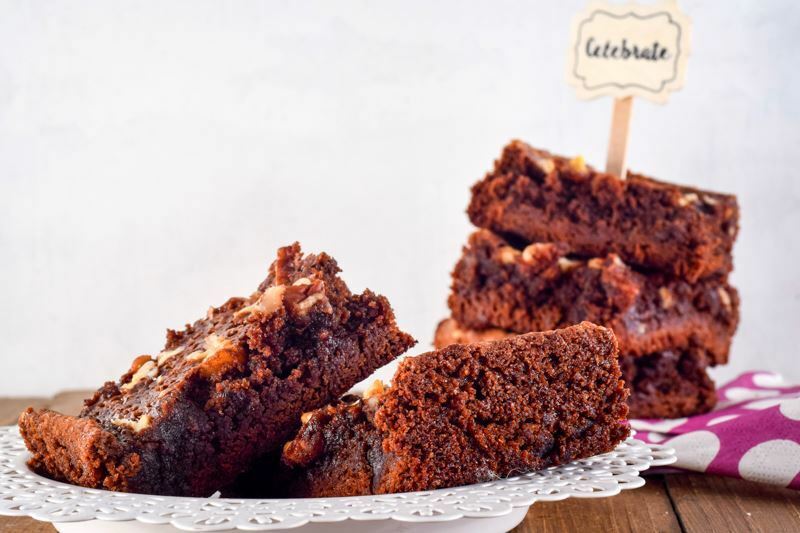 These are perfect for your next party, bake sale or even a camping trip if you tend to bring along your electric skillet! 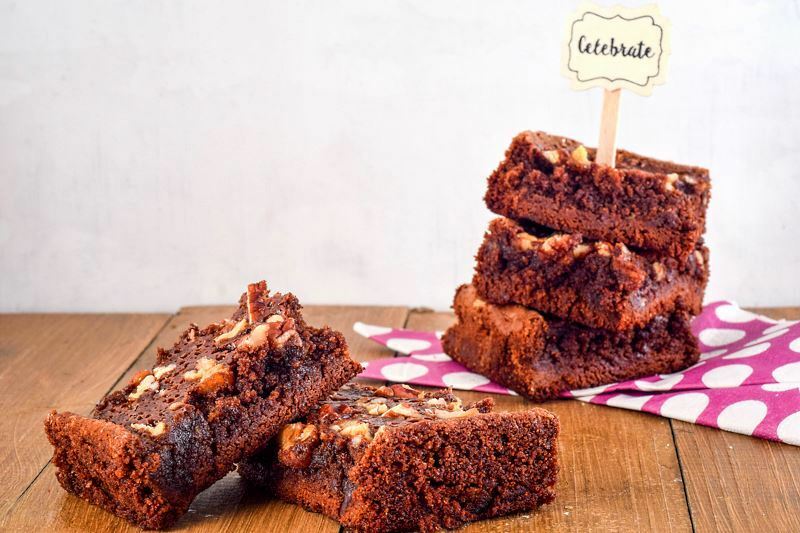 Brownies are a classic dessert loved by many people, but what if you don't have an oven to bake them in? No problem! This recipe is unique because the delicious treats are baked in an electric skillet, not an oven. Preheat the skillet to 400°F (200°C) and place the lid on it. Grease a baking mold (8 x 6 x 1 inches). Melt the chocolate in a metal bowl over a pot of boiling water. Pour melted butter into a large mixing bowl. Whisk in sugar by hand and mix until smooth. Add the eggs and vanilla extract. Whisk 1 minute. Add melted chocolate until combined and smooth. Use a rubber spatula to stir in flour, cocoa powder, and salt until well combined. Place the mix in the baking pan. Sprinkle the walnuts in. Bake for 50 min. or until a toothpick comes out dry. 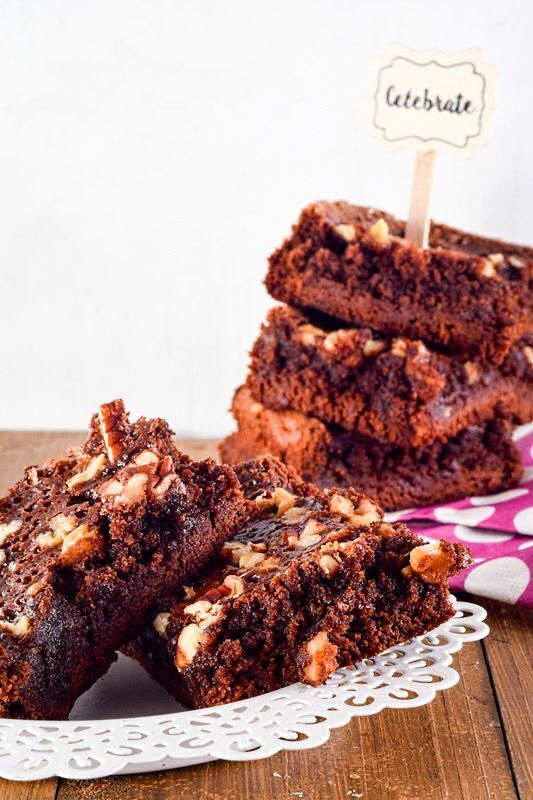 These brownies contain walnuts and are not suitable for those with a nut allergy. The walnuts can be omitted if necessary. There aren't many better smells than the aroma of baking brownies, and it can be difficult to wait for them to be done! To check doneness, stick a toothpick or skewer into the center of the pan; if it comes out clean, they're ready. Use oven mitts to remove the baking dish from the skillet and place on a cooling rack for 5-10 minutes before serving. Cut the brownies into squares and serve. 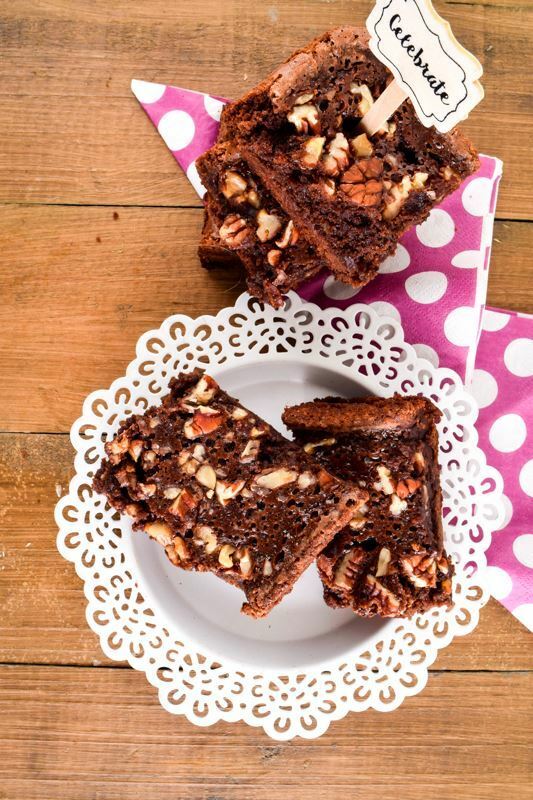 These brownies pair perfectly with a scoop of vanilla ice cream or a cold glass of milk! 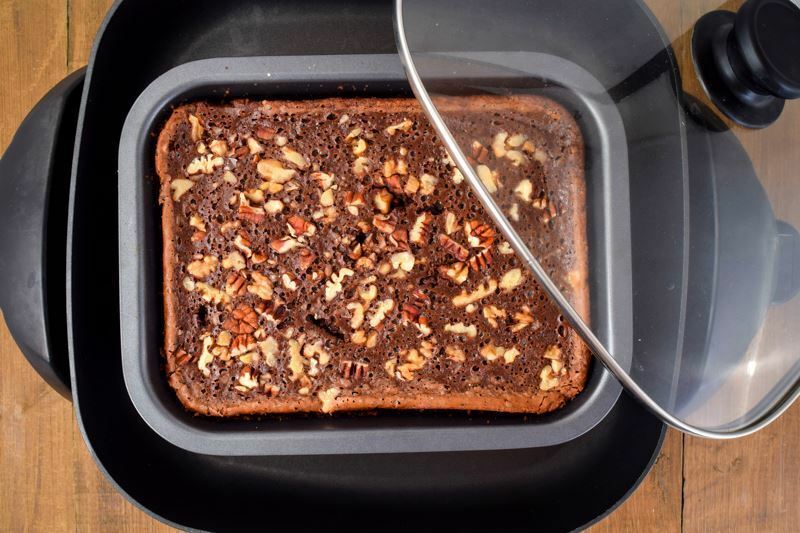 To store, allow the brownies to cool completely, then place into an air-tight container and keep at room temperature. You can layer parchment paper between the layers to keep them separated. Here's a tip: Instead of walnuts, you can try adding chocolate chips, crushed Oreos, marshmallows, or peanuts to the batter for a different flavor. Have fun with this recipe!